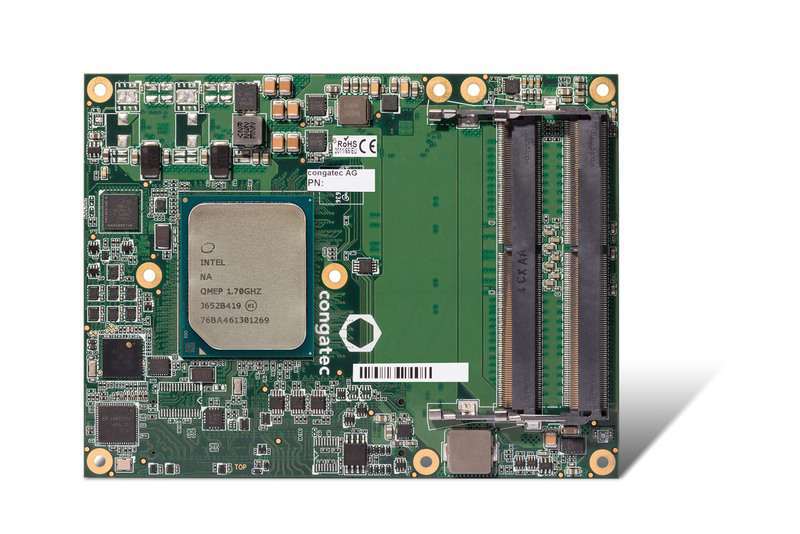 German board maker congatec has launched a new Intel Atom C3000 processor-based COM Express Type 7 Server-on-Module that adds 10G Ethernet support for embedded edge computing. The conga-B7AC is based on the new PICMG COM Express 3.0 specification and, as a commercially off-the-shelf available, standardised building block, can be used in small, passively cooled embedded edge devices that can be deployed in the extended temperature range from -40°C to +85°C. "Distributed embedded edge devices supporting 10 GbE bandwidth can be utilised as small cells for next generation LTE networks, device nodes for cyber-virtual factories, or local micro data centers for sensor networks. For these tasks, they need to handle massive TCP/IP communication and storage bandwidths in real-time,” said Martin Danzer, Director of Product Management at congatec. The COM Express Type 7 Server-on-Modules include a cloud API for distributed embedded edge servers that provides all the capabilities that data centre managers need to remotely monitor system health, power consumption and environmental conditions. With the support of up to 20 PCI Express (PCIe) lanes, the module also offers minimum latency for storage devices as well as very fast access lanes to all the various sensor networks, field busses and industrial Ethernets. All the modules provide up to 48 GB of fast 2400 DDR4 memory with or without error correction code (ECC) depending on customers' requirements. They offer up to 4x 10 GbE and the Network Controller Sideband Interface (NC-SI) for connecting a baseboard management controller (BMC) allowing out-of-band remote manageability. Flexible system extensions including NVMe flash storage can be connected via up to 12x PCIe Gen 3.0 lanes and 8x PCIe Gen 2.0 lanes. 2x SATA 6G ports are available for conventional storage media. Further I/O interfaces include 2x USB 3.0, 4x USB 2.0, LPC, SPI, I2C Bus and 2x UART. Additionally, the module hosts a trusted platform module (TPM) for security sensitive network appliances. congatec also offers board support packages for all current 64 bit Microsoft Windows variants as well as Red Hat Enterprise Linux Server.